Jill Stein's recount fundraising: What happens to leftover money? 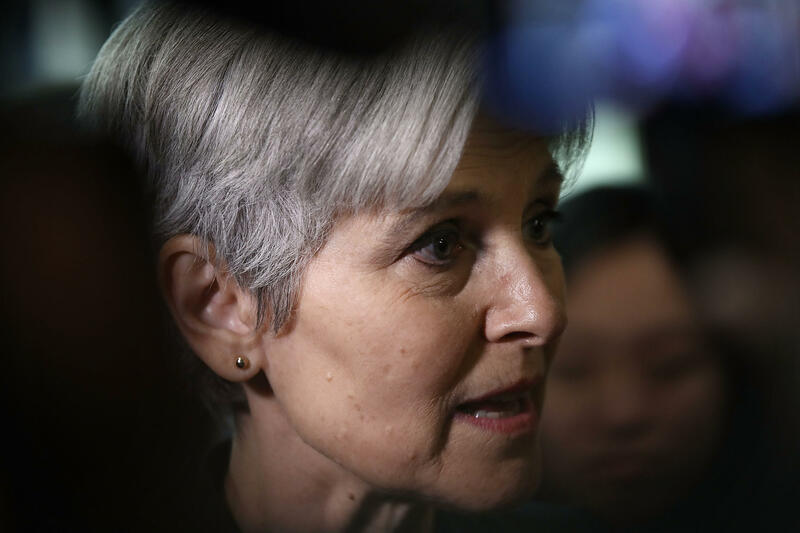 First, Green Party candidate Jill Stein’s campaign said it needed $2.5 million to fund its three-state recount effort in Wisconsin, Pennsylvania and Michigan. Then it was $4.5 million. Then it was $7 million. Now it’s $9.5 million. As Stein brings in millions of dollars in campaign contributions -- in the last week, she’s already raised almost twice what she raised during the entire 2016 campaign -- her fundraising success raises a big question: where is that money going, and what happens to it if there are leftover funds after the recount? But Stein’s campaign has since actually filed for recounts in all three states -- and does not expect to have money left over at the end of the process. How much money has Stein raised? As of Wednesday, Stein’s website indicated she had raised $6.7 million toward the recount effort. This is effectively twice what Stein’s campaign raised during the entire 2016 campaign: through Oct. 19, the date of the final filing period of the 2016 cycle, Stein had brought in about $3.5 million. She would need just $300,000 more for the recount effort to double that amount. Is that money going directly to her campaign? No -- the money Stein is raising for the recount goes into a completely separate account that’s specifically designated for the recount campaign, not into a general campaign fund. How much can people donate? Up to $2,700 per person. Because this is a fund that’s totally separate from Stein’s campaign fund, the maximum individual contributions are reset since the 2016 election -- meaning if someone donated the maximum $2,700 to her general election campaign, they could give an additional $2,700 to the recount campaign. However, at least thus far it seems like most of the donations are considerably smaller. Stein campaign manager David Cobb told OpenSecrets that of the 140,000 donations that had come in by Wednesday, they averaged $46 -- and that just 414 donors gave more than $1,000. What costs are associated with a recount? Initially, Stein’s campaign estimated (according to its fundraising page) that the Wisconsin recount would cost $1.1 million, Pennsylvania would cost $500,000 and Michigan would cost $600,000. To cover those costs, the campaign’s original stated goal was to raise $2.5 million. Once they quickly blew past that goal, though, the fundraising page on Stein’s website included a line saying that there were more costs involved than just the fees owed to each state: they’d also need money for attorneys’ fees (which they estimated to be $2 to 3 million) as well as money to pay the statewide recount observers. That new estimate, they said, brought their fundraising goal up to $7 million. Stein’s campaign has explained the growing fundraising benchmarks by saying that they are updating the explanatory text as more information from each state becomes available. That happened on Tuesday, when Wisconsin came back to the Stein campaign after consulting with each county about costs, and said the recount there would actually cost $3.5 million -- considerably more than initially expected. Stein campaign spokeswoman Jordan Brueckner said that Wisconsin increase is the reason Stein’s fundraising goal jumped from $7 million to $9.5 million this week. Stein’s campaign wired the $3.5 million to Wisconsin’s Elections Commission on Tuesday afternoon. When the fundraising plea was first posted to Stein’s website, it included a short message to say the campaign was “raising money to demand recounts in Wisconsin, MIchigan, and Pennsylvania.” That language was updated late last week to include a line about what would happen to unused funds. “If we raise more than what’s needed, the surplus will also go toward election integrity efforts and to promote voting system reform,” the new line on the website said. At this point, Stein’s campaign does not anticipate that it’ll have money leftover. However, Brueckner said unused funds would either be returned to donors or put toward “voting reform.” She did not specify exactly what form the reform efforts would take. What do campaign finance rules say about this? Technically, recount funds are supposed to be used solely for expenses related to a recount -- including the things like lawyers’ fees and recount observers that Stein’s campaign has described. But as for where the additional money can go, FEC guidelines are unclear -- if Stein’s campaign wants to use the money for yet-to-be-determined voting integrity or “voting reform” efforts, it would likely need to transfer that to another fund or account. “There haven’t been that many instances where this has really come up and the FEC has really looked” at the issue, said Brendan Fischer, an associate counsel at the Campaign Legal Center. Usually, FEC guidelines say campaigns need to go back to their donors and ask if they would be willing to have their donations transferred to a different fund. In this case, since Stein’s campaign has indicated on its site that it planned to use the additional funds for “election integrity efforts,” that could give them more of an argument to transfer funds without going back to donors and asking for permission.